Grey and gold are the perfect combination for a chic understated style. The oversized dial is on-trend and looks beautiful worn with layers of gold bracelets. I love this watch. 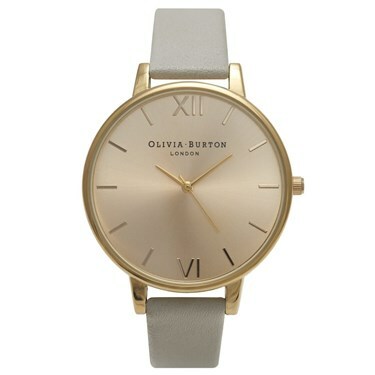 It’s my second Olivia Burton both purchased from Agento. Their service is brilliant. They arrive so well packaged as well. Can’t recommend them enough. I love this watch. Looks amazing. Very good service from Argento. Would fully recommend.